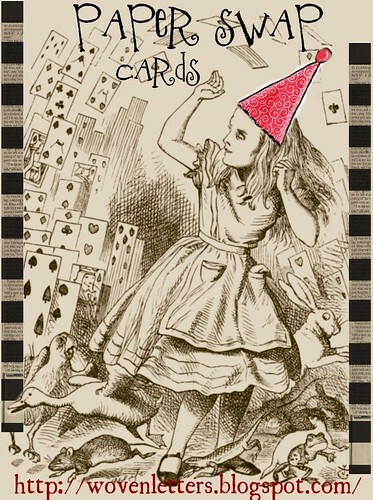 I am looking back on more than a year paper swaping all around the world! It all started in fall 2009, when I wanted to make a project, that was both simple and thrilling. And I thought, it must be nice to exchange papers with people from other countries, because something most artists have in common is that they need paper, the basic for all kind of creativity. And it worked out fine, people were (are!) 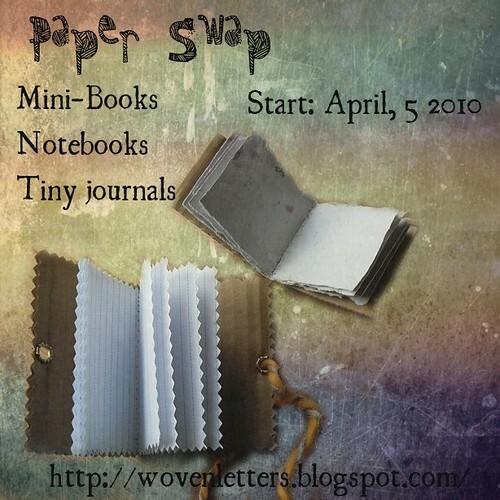 generous, made contact, exchanged in huge amounts, some have won friends for a lifetime, some have come out of the closet, some have been in it only once, some became real paper swap addicts. And they all did a very good job! So here we are with our paper swap #14 to come! And this is a look back on the past swaps. I took part in every edition and I must say it's one of those things I really look forward to every month. and it's not only new paper goodies to play with that make me participate. I found friends, new inspiration, I opened my eyes to new ideas and possibilites. I also learned how to fight my inner critic and how to overcome my limitations. ...und da fällt mir auf, das ich schon ewig nicht mehr dabei war! Würd gern mal wieder mitmachen, Zeitungen und Zeitschriften hört sich gut an. Ohhh, I see more than a few that I'll be able to join in on. Great job!! Oooooh! I'd love to participate in one of your swaps. I have oodles of vintage things to share. I tried to get in on one last year but think I must've been too late. 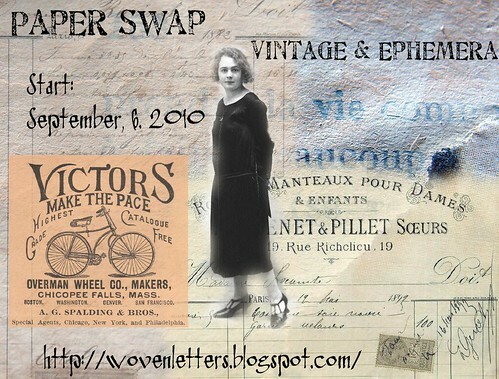 It was so fun to see your past swaps and really fun to see the box below that has found it's way back to you. What a cool, cool project you came up with! This is a nice idea. I'm in. I'm participating in another project called mailart365 where I have to do a piece of art every day, usually postcard size, and mail it using postal services to friends or strangers. I'll put some of my art along with the paper in the post for whoever my partner will be. Do you have me down for February? The collage box has landed!